Special Delivery! 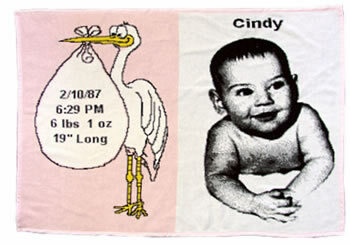 The Stork with the bundle of joy, announces the date, weight, and length on one side and a photo of the baby and name on the other. Pink for girl.